Richard Swift was born like many other young boys in London, England, though in 1808. His was a relatively well-to-do family and raised him well. Swift's life took a turn for the weird one pitch black night in 1838, in Tiger Bay. "A bad, dark part of London," as he would later call it. On this darkest of nights, Richard Swift stumbled into something that he never expected. A dark ritual was occurring. Swift was one of many victims of that night, though the rest were not so lucky as he. A grand total of 104 lives were snuffed out by whatever unknown dark ritual took place. After the ritual Swift ended up in a daze, wandering London's most dangerous area. He was rich, he was vulnerable… and he made an easy target. Luckily for him, a handful of strangers came to his aid. A man by the name of Piers Ludlow took him in, treated him like a favored guest in his home. He was grateful for the Ludlows' assistance, and promised to return the favor as soon as he was able. However, though he was treated well and the whole family seemed nothing more than kindhearted people, something bothered him about the lot of them. Swift recovered quickly in the Ludlows' care, but did not regain his memory. And they soon decided to use him for a nefarious purpose. Sinclair Ludlow, Piers's son, had killed his father's business partner in brutal, bloody fashion. Tthe Ludlows decided to kill Swift and place him at the scene to frame him for the crime. But when he was attacked Swift instinctually defended himself with his powers, and the resulting emergence of his powers killed all but two of the Ludlows (who were absent). He soon learned that this wasn't a one-time incident. And the Ludlows did not forget him, either. In the year 1865, Swift came face to face with a piece of his past. Rupert Ludlow, still carrying the anger for the death of his family, hired hitmen to kill Swift. When they finally caught up with him, they caught him unawares and he was shot. He was still in the process of learning about his powers and was not as strong with them as he would become, and was thusly shot when he could not defend himself. Rupert Ludlow made the mistake of standing over Swift to gloat. It would be a fatal mistake. As before when his life was in danger, Swift's powers reacted, and killed Rupert. Swift began to travel around the world; having realized he no longer aged, he decided that he would see the world, since he apparently had infinite time in which to do so. From eastern Europe to the Far East, Swift visited many places. And always tailing him were the Ludlows. In his years, he killed many a Ludlow, while further refining his powers. It was during this time that he came into possession of the cane that he carries to this day through unknown means. The first time he visited America was in the 1870s. He soon took a liking to Opal City, where he met Brian Savage, known as the Scalphunter. It was an unlikely friendship…however the two grew to become the greatest of friends. Swift went on a variety of adventures after that, among them being hired to save a man's sister from a hypnotist named Lune (he did so by killing Lune and the man's entire circus troupe). However, the murder of his friend Brian Savage in 1899 put an end to the era of casual friendships for Swift. During World War I, Swift chose to assist Canada. Under the alias of Louie Fox, he met and fell for a beautiful woman named Marguerite Croft. But she turned out to be yet another of the Ludlow clan, set out to trap and kill him. She attempted to poison him, which failed. Swift killed her. Already disillusioned with mankind, he only grew more jaded, deciding that amorality was far safer for his heart. The 1940s saw something of a turning period for Swift. He had read of the exploits of the costumed superheroes, and wished to alleviate the boredom of living forever. It was then that he donned a costume for the first time. Sort of. A judicious application of shadow to hide his identity and "The Shade" was born. However, when he wasn't causing trouble for Jay, he was… saving lives?! Indeed, not only did he foil a plot by Ludlow pseudo-hero the Spider to murder Jay Garrick and his wife, but he also rescued the Starman of that era from an assassination attempt. To Swift, the heroes weren't an object of hatred. Quite the opposite; Swift enjoyed the "joust" of opposing a super-hero, physically or intellectually. By the present however, had mostly left off with the whole "supervillain" business. He might commit a major crime that got the attention of a hero if he was remarkably bored, but generally he didn't bother. But now that there are new heroes to meet and test himself against, he just might consider getting back into the game. Shadowlands Control: The Shadowlands are an extradimensional realm of shadows that those who have a connection to it can summon and manipulate to varying degrees. The Shade has been a user of the Shadowlands' particular sort of energy for around two centuries and has grown accustomed to its power. When in the Shadowlands, he can construct the area around him into specific environs that he chooses. 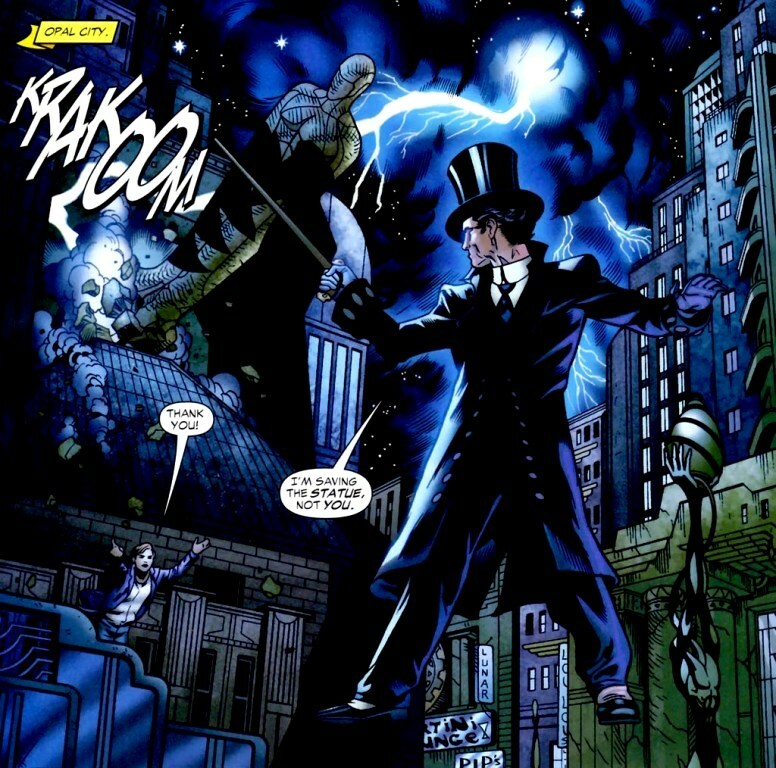 Shadow Manipulation: Not a mutant power proper, but a result of his connection to the Shadowlands. He can use this energy to make constructs of varying complexity — simple walls, oversized hands capable of grabbing and attacking, domes for defense or containment, etc. He cannot create something with moving parts however. He can also create "demons" from the fabric of the Shadowlands and press them into service. These "demons" are only barely sentient, and are not at all sapient. They have no self-awareness or self-preservation instincts, and are not "people" by any stretch of the word. They can generally look like just about anything threatening. However they are merely shadows. These constructs and "demons" can be dispelled easily by concentrated light bursts. Shadow Teleportation: The Shade creates portals of shadow that link his location with another. Travel between Earth and the Shadowlands exhausts him; he can only make the round trip once a day. However on Earth proper it's a bit less limited, even if he cannot "blink" around a battlefield. He can travel within a city, or between cities, but he cannot do this endlessly; he cannot form portals more than about ten minutes apart. This time increases with passengers. He generally needs to know something about the area at the destination, else the formation of the portal takes several minutes, as he must "feel out" the area through the shadows in the destination before opening the portal. Immortal: Like all of his powers, the Shade's immortality is derived from the supernatural "accident" of 1838 that he was involved in. The Shade does not age, does not contract illnesses, and heals faster than a normal human (though not on the level of regeneration under normal circumstances). His connection with the Shadowlands has also rendered his body quite a bit tougher than normal, seeing him able to all but shrug off the effects of even a demolition bomb landing upon him with little more than dizziness. Disguise: Being immortal has its downsides. One of them is that every so often one has to pretend to die, cycle through his list of identities, and pick a new one. Not only that, but when acting as a villain, it's rather important that one doesn't let the hero see his face, else the hero will just come knocking on his door. And that's always a bother. This applies to physically disguising his features for villainy (or heroing; the Shade has been known to play that side of the field at times) and for disguising his identity through paperwork so his various identities can't be tracked. Etiquette: Richard Swift was a rich young man in the Victorian era, when the importance of manners was at its peak. While the knowledge of which fork to eat one's salad with may not be as important as it was back then, the Shade is unlikely to embarrass himself at a social function. Combat: The Nightstick has a sword concealed within the cane portion, and the Shade can fight with it to an expert degree. He can also use other sorts of fencing swords but with slightly less acumen. Additionally he's picked up some hand to hand techniques to supplement his fighting abilities, and is perfectly capable of using these to defend himself as well. 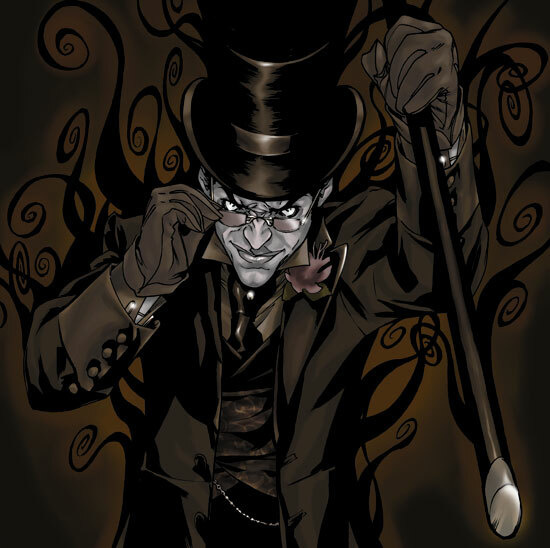 Skullduggery: Given his interests tended to swing sharply towards the more villainous, it's always been in the Shade's interest to increase his knowledge of the shady things. Even without his shadow powers to conceal him, he can skulk and hide from trackers, as well as track others via natural methods. He can also pick both locks and pockets, though his lockpicking skills do not extend to electronic locks. Polymath: Two centuries is a long time to collect knowledge. The Shade's collection of knowledge extends to languages, cultures, a few minor sciences, and a great deal of occult, history, and literature. The latter two are Swift's main fields. His knowledge of history comes from experiencing it, including having befriended such literary greats as Charles Dickens and Oscar Wilde. 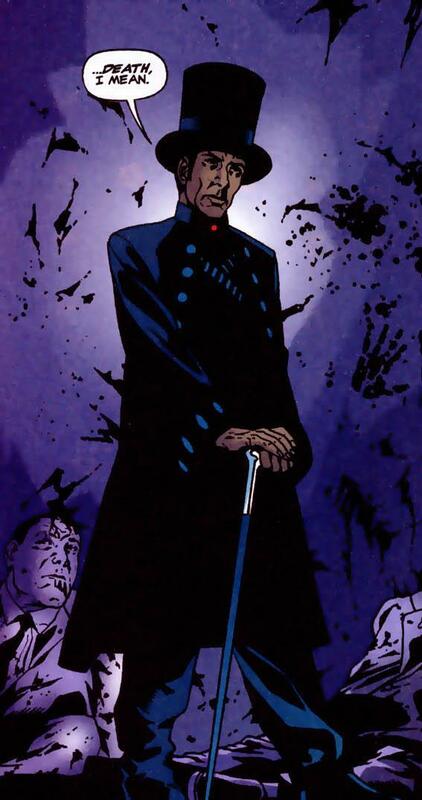 The Nightstick: While he can use his powers without it, for reasons unknown, this deceptively harmless-looking black cane with a silver bird's head for a grip seems to increase his abilities. Without it, he can only affect natural shadows, and is thus reduced to about a quarter of his normal effectiveness. It also conceals a thin rapier blade within it. Wealth: In his lifetime, Richard Swift has made a rather large fortune for himself, through both legal and not-so legal venues. Shares in stock, selling goods, taking contracts for hired killings — he's been quite busy in his lifetime. While the overwhelming reason for all these many varied jobs was the alleviation of the boredom of living for so long, it's managed to provide him with quite a fortune in the meanwhile. Richard Swift, alias "the Shade", is very old and has seen many things over the span of his long lifetime. He considers himself to be an urbane, sophisticated chap, and it's likely few who know him would argue with him, ally or enemy. Despite the passing of the years, he has lost none of his witty charm… or his dry British humour. The Shade is a man of another era, from a time when men were gentlemen. 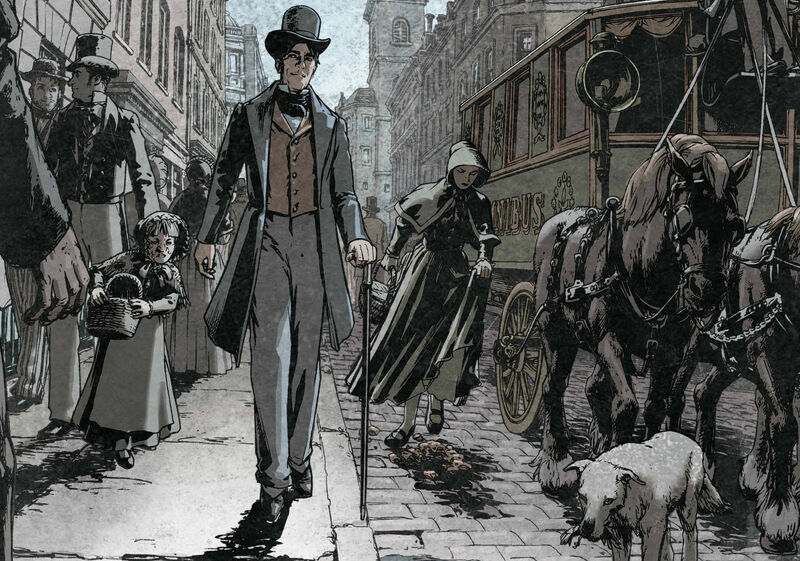 Even though he's living in the modern day now — and has adjusted rather well to it — he still retains that old suave Victorian charm that one so rarely sees in people nowadays. But there is more to the Shade than just his dapper appearance. Shade is a "sensual" person, "sensual" as defined in the more literal definition of the word — "devoted to pleasing the senses". He likes things that appeal to his senses — the finest art, music, food, clothing, and company. And with the accumulated wealth of almost two centuries, he certainly can afford many of the very best things. Perhaps it's the gentleman in him, but Shade does not like openly lying to people, especially superheroes. It's not a gentlemanly thing to do, and it's beneath him. For this reason, while he might be very careful with just exactly how much of the truth he tells, he will not openly lie. Lies of omission, however…are another thing. In his time, Shade has also learned that no one has his interests at heart more than himself. Thus he he no qualms about getting exactly what he wants, exactly when he wants it, and going to whatever lengths he feels are worth it to attain it. Another side-effect of his immortality, Shade has come to regard "right" and "wrong" as arbitrary choices that have no bearing on life. This doesn't mean he's necessarily "bad". "No harm, no foul" would be a good way to describe his feelings on this. He is not "immoral", per se, but "amoral". Meaning that he has no leanings towards either good or evil, but maintains a distance between himself and such choices. Additionally, Shade has a mild disdain for people who have no more sense or skills to simply bash people and things to get something done. He does know that such kinds of "solutions" do have their place. However, they are not with him; that's what underlings are for. A problem with living potentially forever is that one soon grows bored with a normal existence. To that end, Shade sometimes chooses potentially dangerous hobbies and interests to pass the time. That's one of the reasons he often makes forays into crime — crossing wits with the superheroes is a most enjoyable "joust", and often is the only sport he has. Another side effect from such a long life is that one sees and hears just about everything in one's time. So if someone's looking for shock value from the Shade, the person is likely to be sorely disappointed. Cotton candy falling from the sky? Gorillas in regal attire taking over the world? Demons appearing and offering more power? Nope, Shade's seen it all. Well, except for the cotton candy falling from the sky. That might be a pleasant surprise…. Nightstick: For some unknown reason, only when his cane is in his possession can he use the full measure of his powers. 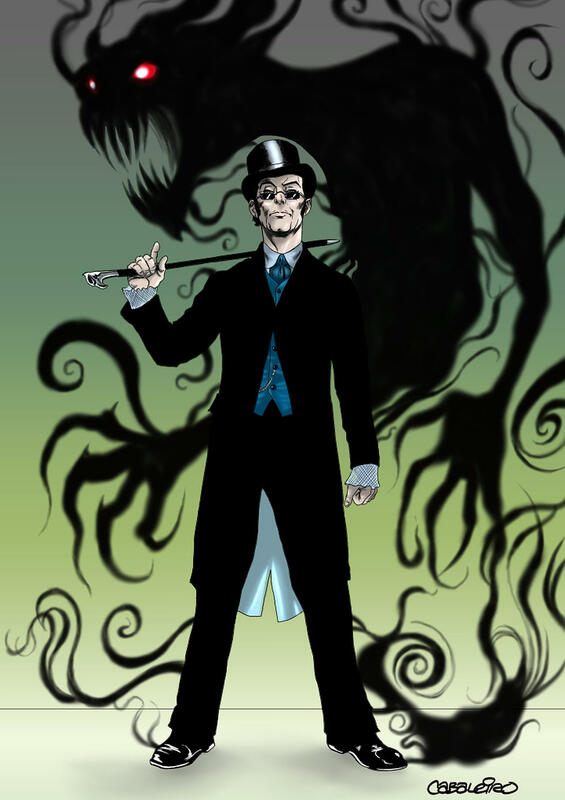 The Shade is not powerless without his cane, but it does offer him a clear advantage; without it he cannot teleport (save to the Shadowlands) and he loses the ability to create "demons". Amnesia: Along the line of nearly 200 years, one collects an impressive amount of memories. However, some of Shade's are extraordinarily painful. His mind has perhaps suppressed them, or perhaps they are truly gone. Among those are the method by which he received his abilities. And even now, he's still missing small bits and pieces of his past before his transformation. His Shadow: The Shade's shadow is his link to the Shadowlands. Since his powers come from there, if he casts no shadow, he cannot use his powers. He is also more vulnerable like this, and can be killed as easily as any unpowered, normal human in this state. Bad Reputation: Throughout his lifetime, Shade has associated with nefarious people from all the eras he's lived through. Add to that the fact that he has such loose personal ethics, and you have a recipe for people trusting him about as far as they can throw him.